I love goals. I love making new goals at the beginning of each year and creating an action plan. I prefer goals to resolutions. Resolutions, to me, are lofty aspirations. Goals are more pragmatic, with a specific action plan. 1. Make a small number of goals at one time, and if they are connected in some way, that seems to help. 2. Break goals down into specific steps. 3. Plan the week ahead on Sunday night, and always look at goals to make sure they have a place on the upcoming week's schedule. I especially have loved daily goals. Last year I read the Bible in a year with the Youversion app. This app (for computer, phone, or tablet) breaks the reading down into daily segments. In 2010 I set the goal to write a poem each day. I was just coming off a period of writer's block and thought this would shake some cobwebs loose. I loved writing a daily poem so much that I have kept it up. Some of the poems are ones that I would send out, while many others are little exercises in mindful living. But I love the process of writing them, and the way I look at the world differently when I write poetry. 1. Get all my eBay work done on Mondays (writing and scheduling listings, creating new collections, and scheduling tweets). Spend the rest of the week getting my vintage items up at: Bonanza, eCrater, Etsy, Amazon, Alibris, Biblio. I love my eBay store, but sales have slowed there for me the past couple of years. I really feel this is something I need to prioritize now. 2. Spend a few minutes each morning doing work related social media: Twitter, Facebook, Pinterest, and possibly Instagram, Stumbleupon, and Google+ as well. 3. Blog regularly! Make blogging a bigger part of my life. 4. Go back to work on my not-quite-ready-to-discuss-it-yet writing project, and also start sending writing out again. When I was in college and grad school I published regularly in literary journals. I've fallen out of the habit of doing this, and I find I miss it. So there you have it - my 2015 goals. I'll touch base during the year and talk about some of these goals more here. What are YOUR goals for the upcoming year? I'd love to hear from you in the comments section, below. I love how you simplify the often over-thought process of creating goals. I say this because... yes, i often overthink them. I have actually been staying away from goal blog posts and came upon yours because I am right below you in the Ultimate Blog Challenge and I am so glad I did. Your writing voice hums and I am taking away a good chunk of inspiration from you this morning. Thank you! "A goal is just a dream until you write it down." Do you use bufferapp? I find it helps immensely with my social media management. I love how you've broken down the goal making process into something that's simple and totally do-able. I also am excited for you and your yearly goals because they all sound amazing and like they're going to take you to where you want to be in different facets of life! wow - I'm in awe!! Thanks for your comments! I really appreciate them. I'm really excited about this upcoming year. Kandas, I am not familiar with bufferapp, but I'm off to check it out right now. Thanks! One of my main goals is to balance my blog and my family so i'm not giving my blog 80% and family 20% or vice verse. My family does need a bit more than my blog and I plan on giving them that by getting things organized and planning out things. Good Luck with your goals! I have so so many! But my main one is to get organized this year! I break my goals down in the exact same way! I also almost never use the term resolutions because that seems to throw away the importance of the goals. I have a bunch of big goals for 2015 and growing my blog is at the top of that list! Breaking goals into do-able chunks is the best way to get things done! I have similar goals to you this year. Thanks for the comments. 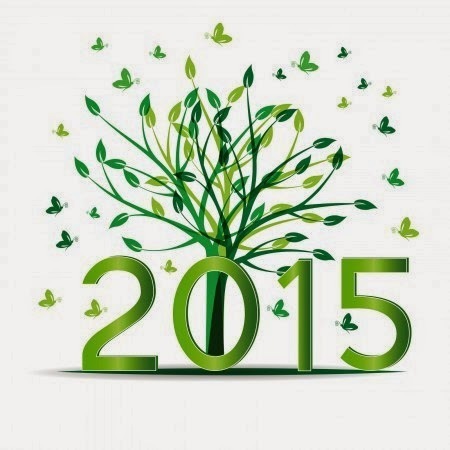 Wishing you all great success with your 2015 goals! I love your outlook on goals vs. resolutions. I did the same thing and have set some goals for myself! I love your "simple" goals. I do not mean they are simple to execute - but they are focused and seem reasonable. After the demise of the site I wrote for last year, I am working more on my own sites so one of my goals is to spend more time on those blogs. I am trying to list five new things on eBay each day BEFORE I do anything else online other than perhaps processing eBay parcels. Doing listings first is tough but it would make sure that I was feeding eBay a bit of new material every day, which seems to help traffic. I admire you for branching out beyond eBay because I believe the competition on eBay is pretty fierce these days, which probably at least helps to explain the slower sales and traffic that so many established sellers have experienced in the last year or so. Brenda, your goals sound great. I always enjoy reading your blog posts and pages! I really like your 5 listings a day goal on eBay too. Once I get things crosslisted (hopefully 2 - 3 months), I want to write 5 new listings daily too. That is a good number. Trish, will enjoy watching you as 2015 unfolds. Smart to write down thoughts to help you stay focused. Ya know how is it is to get lost in cyber world. I agree goals are so important to help us stay focused and on track in life and business. Thanks, Deb and Suz! I agree -- I do much better with goals when I write them down and review them weekly.